A Perfect Night Out At Paris Club. 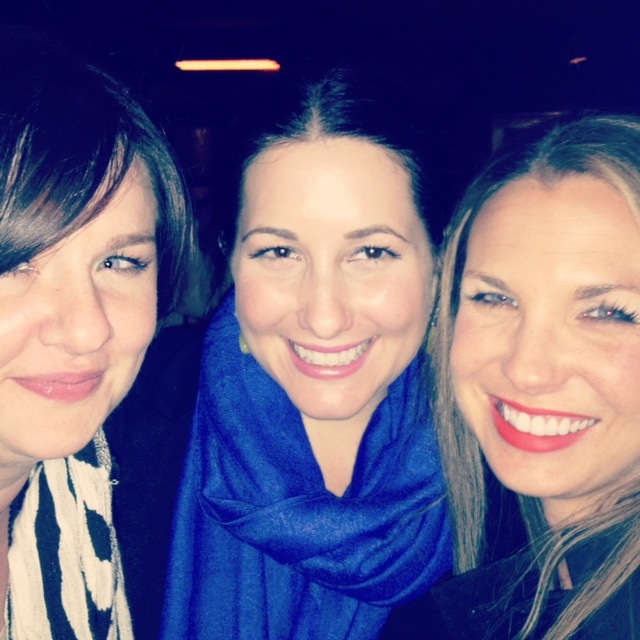 I had the perfect night out with the girls this past Friday night. We went to Paris Club (www.parisclubchicago.com) in Chicago’s River North neighborhood and had lots of laughs, lots of wine and lots of great food! The menu at Paris Club has a variety of dishes, but we focused in on their small plates selection so we could sample more of the delicious cuisine. Below are our choices from our night out. Escargot Bourguignonne – Puff Pastry, each $1.95. This escargot was the best way to start off our meal! 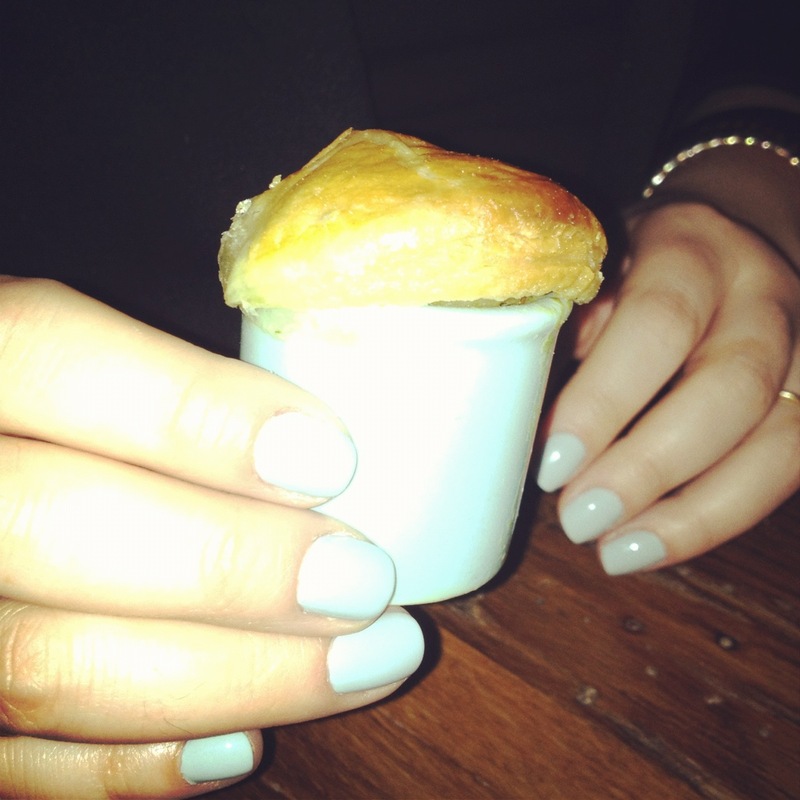 The escargot is cooked in garlic, butter and herbs and then topped with puff pastry. Conveniently, the little pot matched my manicure perfectly! 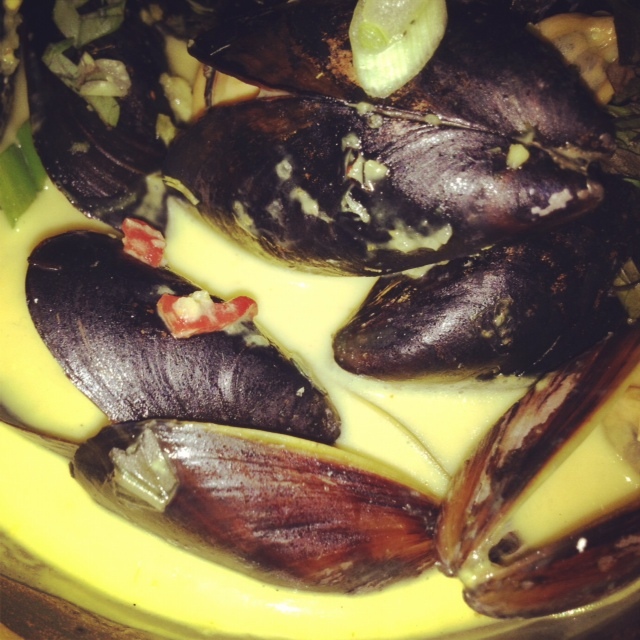 Small Pot of Mussels – Coconut Curry, $10.95. 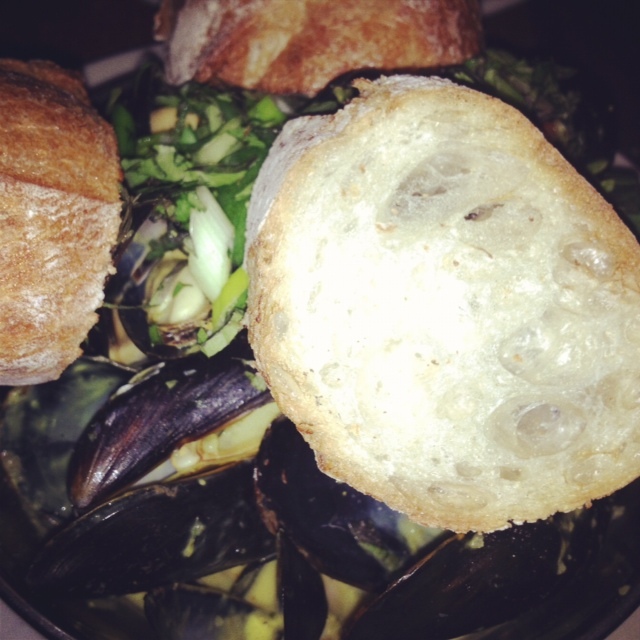 These are the best mussels that I’ve had in a long time. They are cooked in a light coconut curry broth that also features bright, zesty citrus. The balance between the curry and the citrus is perfect. Dipping the crusty bread in the broth was the best part! 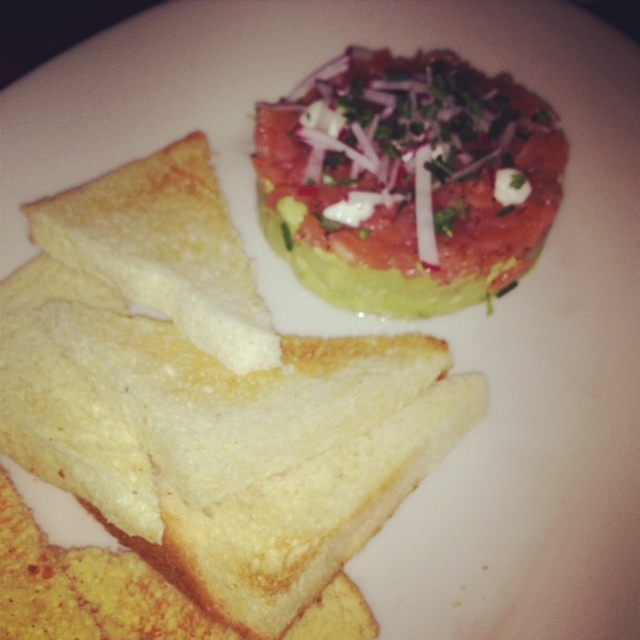 Smoked Salmon and Avocado – Brioche, $9.95. This dish is beautifully plated and made with simple and fresh ingredients. 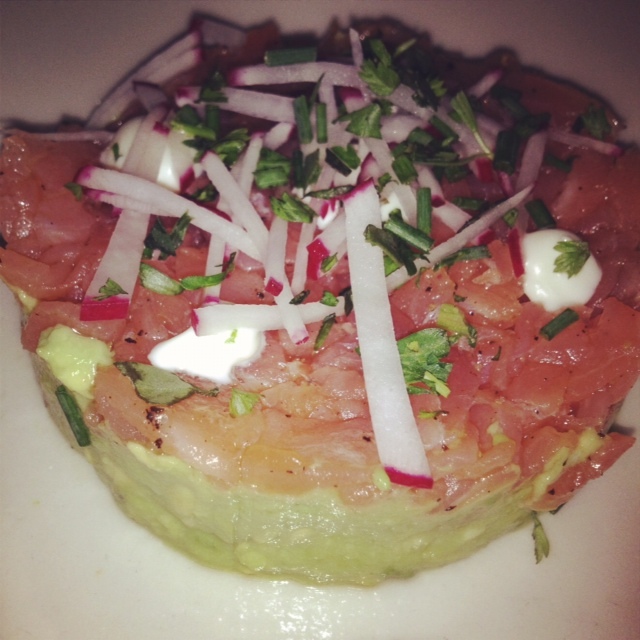 The creamy avocado compliments the salty, smokiness of the salmon perfectly. 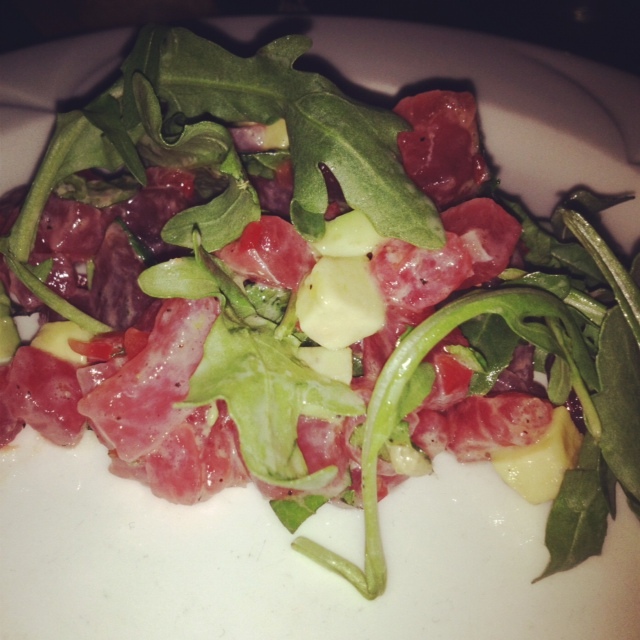 Tuna Tartare Française – Lemon, Mint, $10.95. 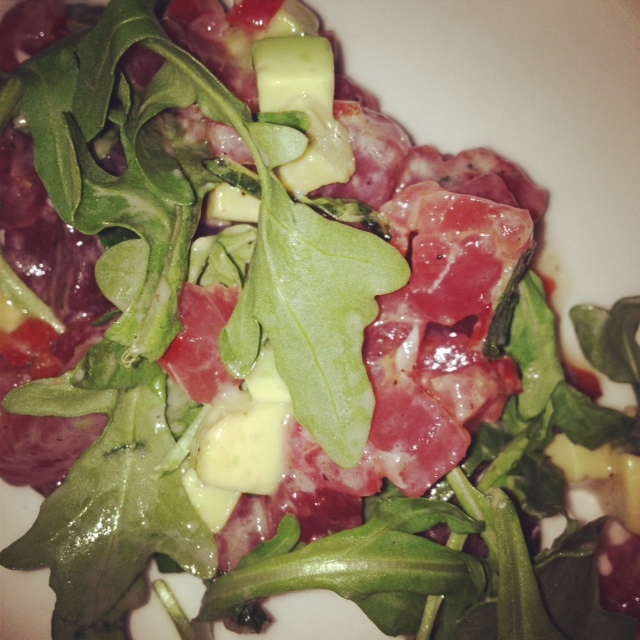 This tuna tartare dish is fresh and light. It was bursting with bright, tart flavors. The tuna and lemon are a perfect pair. 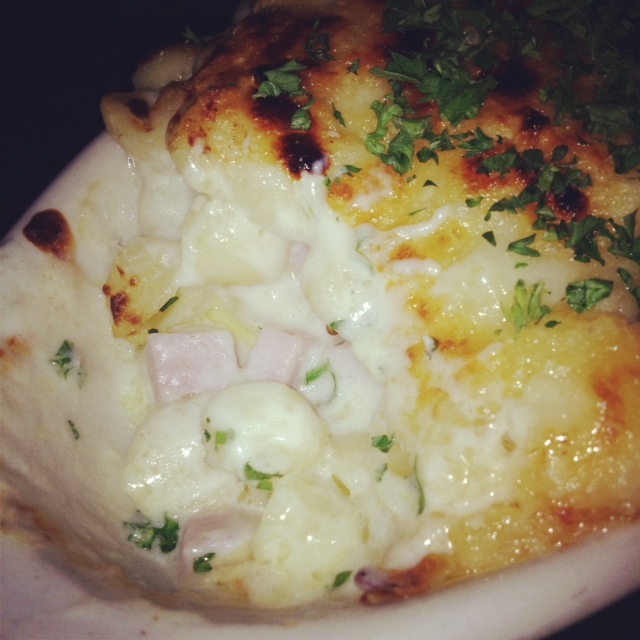 Macaroni Gratinée – French Ham, $6.95. This was by far the richest dish that we ordered. The creamy macaroni and ham, topped with crispy Gruyère cheese, was the perfect combination of decadence. 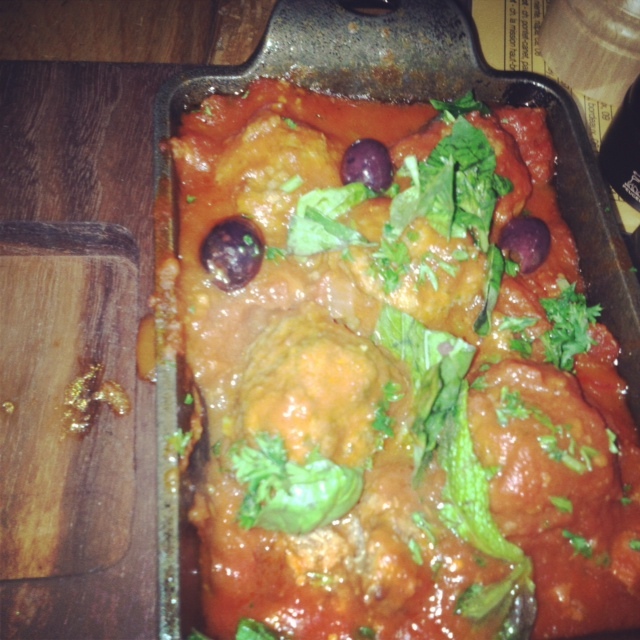 Lamb Meatballs – Harissa Tomato Sauce, $8.95. 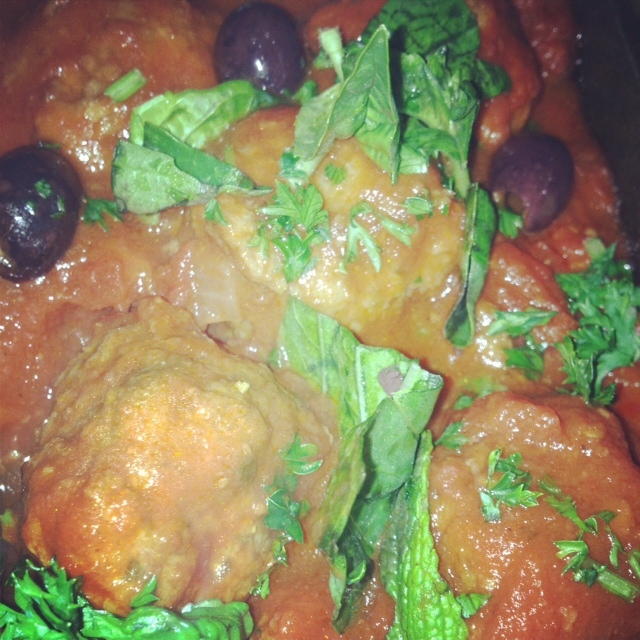 These meatballs are perfectly cooked in a spicy and smoky tomato sauce and are full of bold flavors and spices. The fresh basil and olives are a great finishing touch that brightens up the dish. 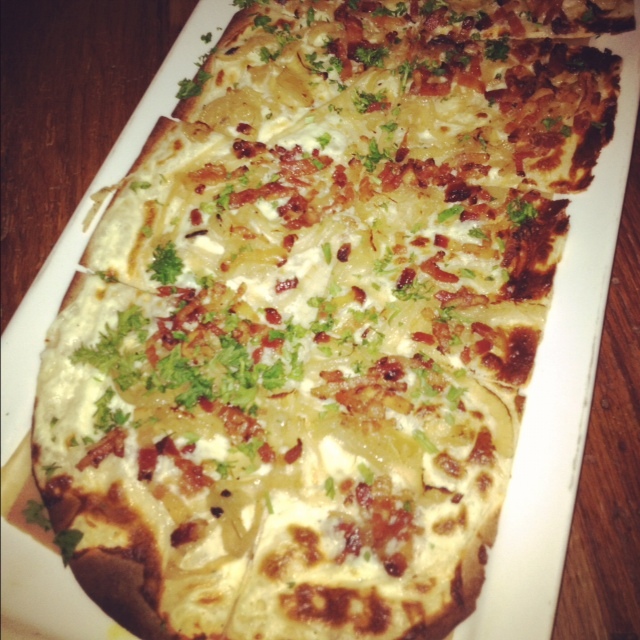 Tarte Flambée – Bacon, Caramelized Onion, $9.95. This tarte is similar to a very thin-crust pizza. The smoky bacon and the sweet caramelized onions are perfect together. I mean, bacon on pizza? Yes, please! 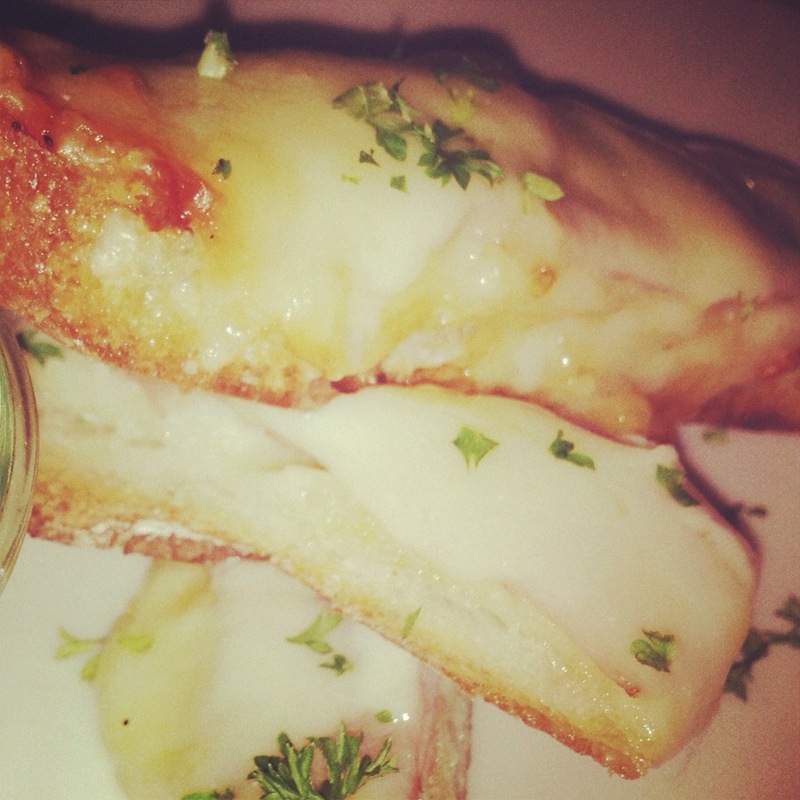 Croque Monsieur Fingers – Dip Madame, $5.95. 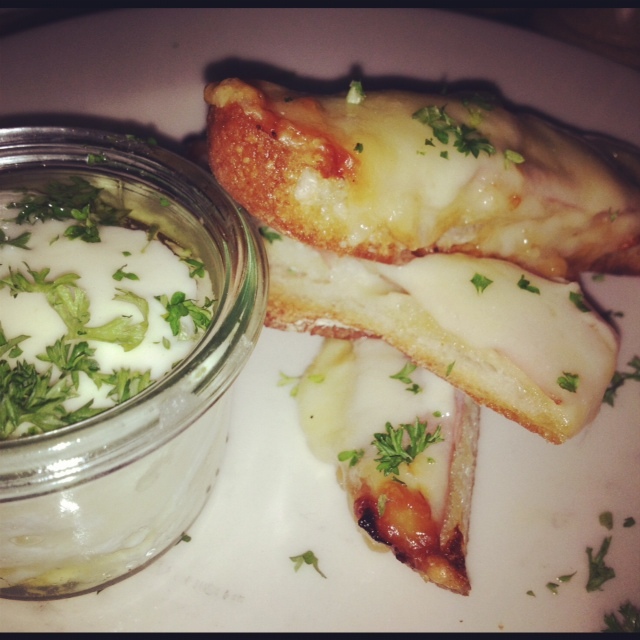 This dish is a great play on a croque monsieur. 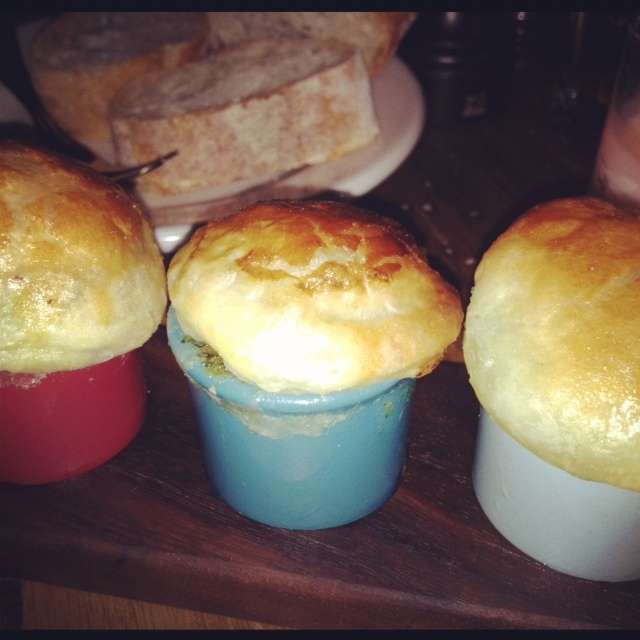 Made with ham and Gruyère cheese, you eat the finger by dipping it in the pot which holds a perfectly poached egg. It’s a brilliant idea and is so delicious! ← Basil & Beef Tenderloin Fettucine.